China on Tuesday surprised global financial markets by increasing the required amount of deposits banks must keep as reserves. In the clearest signal yet against the country’s commercial banks over aggressive lending, the central bank ordered an increase in the yuan reserve requirement ratio for banks by 50 bpt, effective Jan. 18. Reserve requirements were raised by 0.5 percentage points (it is estimated every increase of that size reduces the amount available for lending by nearly $20 bln) while rates on one-year paper increased by 0.08% and on three-month paper by 0.04%, the central bank said on its Web site. The existing levels are 15.5% for big banks and 13.5% for smaller ones. The People’s Bank of China also raised interest rates modestly in the interbank market for the second time in less than a week, signaling that authorities may be trying to cool the rapid growth in the world’s fastest-growing major economy as a credit boom threatens to accelerate inflation and create asset bubbles. FT: “This is a warning across the bows of the commercial banks,” said Tom Orlik, economist at Stone & McCarthy in Beijing. “The central bank said the high level of bank lending needs to come to an end, but the commercial banks do not seem to be taking it seriously. 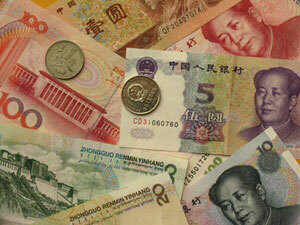 Banks lent about 100 billion yuan ($14.6 billion) each day last week, the official China Securities Journal reported. That compares with 294.8 billion yuan for all of November, raising fears that China’s already expansionary monetary policy could become looser still. Chinese stocks are expected to take a hit when markets open on Wednesday.